Pump Up Your Book is pleased to announce Karen Glick’s Questions in the Silence Virtual Book Tour 2012 beginning on January 3 and ending on January 27 2012. Karen will be on hand during her worldwide tour promoting her book and giving us candid interviews and guest posts where we learn more about the author, she will have her first Twitterview and AuthorVid, both implemented by Pump Up Your Book, as well as giving her fans an opportunity to talk to her live via Pump Up Your Book’s chat room on January 27 where she will be giving away a copy of her book, Questions in the Silence! Lots of fun along the way as Karen stops off at blogs around the world to give her fans a chance to ask her questions and to find out more about this talented literary fiction author. Karen Glick lives outside of Philadelphia. She is a clinical psychologist whose other interests include writing, painting, and acting. When not feverishly engaged in these pursuits, she enjoys spending time with her four children, husband, cavalier king charles spaniels and cats. Karen has just published her first novel, Questions in the Silence. Ari Rothman, born with psychic abilities, has a lifelong fascination with spiritual issues. Childhood visions and intuitions combine to make her a bit of an outsider in her peer group and she turns to religion to create meaning in her life. Ari’s childhood experiences and her strong desire to help others make her a natural psychotherapist. However, the conflict between her intuitive abilities and a more rational approach to the human psyche intensifies when her first long-term client ends his sessions unexpectedly. Visit her official tour page at www.pumpupyourbook.com/2011/12/17/questions-in-the-silence-virtual-book-publicity-tour-january-2012/. Win copies of her book, learn more about the author and be sure to join her on January 27 2012 in the Pump Up Your Book chat room. If you’d like to contact Karen for an interview or review her book, contact Dorothy Thompson at thewriterslife@gmail.com. Pump Up Your Book is an innovative public relations agency specializing in online book promotion for authors. Visit us at www.pumpupyourbook.com. Pump Up Your Book is pleased to announce Chris Shella’s Reasonable Facsimile Virtual Book Tour 2012 beginning on January 3 and ending on January 27 2012. Chris will be on hand during his worldwide tour promoting his book and giving us candid interviews where we learn more about the author, tips on writing legal thrillers and advice on how to become a published author as well as giving his fans an opportunity to talk to him live via Pump Up Your Book’s chat room on January 27 where he will be giving away a paperback copy of his book, Reasonable Facsimile. Lots of fun along the way as Chris stops off at blogs around the world to give his fans a chance to ask him questions and to find out more about this talented legal thriller urban fiction author. Author Chris Shella is a graduate of Morehouse College and the University of Texas Law School and started his legal career in Long Island, New York at the Nassau County District Attorney’s Office. He is admitted to the practice of law in New York, Maryland, the District of Columbia, and North Carolina. Shella is also admitted to the federal court in the Eastern District of North Carolina, the Middle District of North Carolina, U.S. District of Columbia, the Fourth Circuit Court of Appeals, the District of Columbia Circuit Court of Appeals, the Eastern District of New York, and the Southern District of New York.He is also admitted to the Bar Of The United States Supreme Court. He and his cases have been covered on Court TV, CNN, and in the New York Times, and other media outlets across the globe. He has represented everyone from lawyers to major drug traffickers to a serial killer in Baltimore. His two most famous case are the Vegan Baby Case and his defense of the Duke Lacrosse Case accuser for the alleged murder of her boyfriend. Chris now resides in Durham, North Carolina, with his wife and son. His latest book is the legal thriller, Reasonable Facsimile. You can visit his website at www.reasonablefacs.com. Can Jasper Davis pull himself from his life of loose women, liquor, and general debauchery in enough time to win a murder case and possibly save his own hide ? Jasper Davis is a criminal trial lawyer in Baltimore who has slowly but surely become like the drug dealers and lowlifes he represents. He spends more time with hookers than clients and more time drinking Jack Daniels than studying the law books. Simply put. he is a shade of his former self. In Reasonable Facsimile, Jasper is in the middle of a first degree murder trial when he becomes the suspect in the murder of a DEA agent who was set to testify against his client. Jasper is so far gone on women and liquor he sees his trial skills deteriorate right before his eyes. Jasper is confronted by the situation is he gonna continue to be a reasonable facsimile of a human being or is he gonna become the man he once was. Visit his official tour page at www.pumpupyourbook.com/2011/12/22/reasonable-facsimile-virtual-book-publicity-tour-january-2012. Win copies of his book, learn more about the author and be sure to join him on January 27 2012 in the Pump Up Your Book chat room. If you’d like to contact Chris for an interview or review his book, contact Dorothy Thompson at thewriterslife@gmail.com. Pump Up Your Book is an innovative public relations agency specializing in online book promotion for authors. Visit us at www.pumpupyourbook.com. Pump Up Your Book Announces 1st Annual Holiday Extravaganza Friday December 16! WE’RE HAVING A FACEBOOK PARTY!!!! WE’RE GIVING AWAY ALMOST 100 PRIZES!!!! All you have to do to be eligible to win any of our almost 100 prizes is to visit our Facebook page where the chat will be held. Ask an author a question and you’re in! 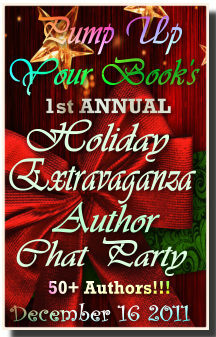 YOU CAN CHAT WITH OVER 60 AUTHORS!!!! To find out which authors will be featured, click here. SO WHERE IS THIS CHAT???? To access the chat, click here. Be sure to leave a comment to let us know you’re coming! SEE YOU AT THE PARTY AND HAPPY HOLIDAYS FROM PUMP UP YOUR BOOK!!!! A.K. Alexander will be touring February 6 – March 20 2012 with her thriller, Daddy’s Home! You can visit the author’s website at www.michelescott.com. 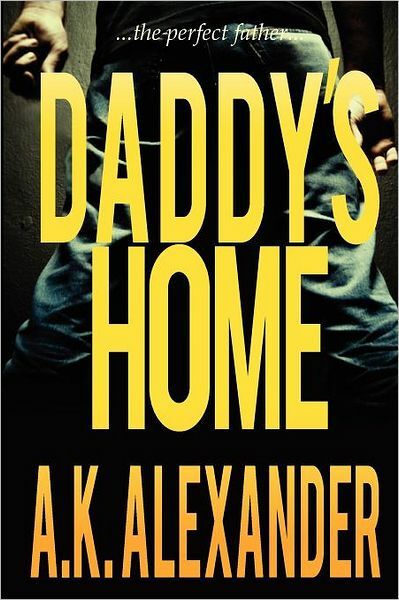 If you would like to review Daddy’s Home, please visit http://www.pumpupyourbook.com/2011/12/13/new-book-for-review-thriller-daddys-home-by-a-k-alexander/. Pump Up Your Book is seeking tour hosts for Gordon Gumpertz’s Red Hot Sky Virtual Book Publicity Tour to be held in January and February 2012. We are seeking blog hosts who would like to review his book, have him write a guest post for your blog or be interviewed. We would love to have you join our blog host team if your blog qualifies! CO2 buildup in earth’s atmosphere reaches a tipping point. Global weather destabilizes, turns chaotic. Ice storms, dust storms, floods, blizzards, hurricanes, tornadoes pummel the earth nonstop. A secret computer model reveals that the frantic weather will peak out, and transform world climate into an alien environment devastating to human survival. Scientists Ben Mason, Claudine Manet, and Bertrand Short are developers of the computer model. Ben and Claudine are lovers as well as lab partners. While they work frantically to head off the approaching catastrophe, a disgraced Russian general hacks into their model and sees earth’s bleak future as his opportunity for ultimate world power. Ben, who had left the CIA to develop the computer model at the national lab, is reactivated by the Agency and sent on a perilous mission to block the rogue general’s plot. Claudine, not realizing that Ben is on a secret mission, misunderstands his absence, putting their relationship on thin ice. Claudine is placed in charge of a massive NASA project that, if completed on time, could stop the approaching doomsday climate change. But her project is stalled by bureaucracy. Ben is on the run in hostile territory. The climate change calamity steadily approaches. You can visit his website at www.tsunaminaturaldisaster.com. If you would like to review Red Hot Sky, please fill out the convenient form here! Dee A. Levy & B. Sheffiled Hunt, authors of the memoir, The Cross Dresser’s Wife, is stopping off at Literary Backstories on Day 6 of their virtual book tour with Pump Up Your Book! Find out the story behind their book at Literary Backstories at http://thestorybehindthebook.wordpress.com/2011/12/12/the-story-behind-the-cross-dressers-wife-by-dee-a-levy-b-sheffield-hunt/! 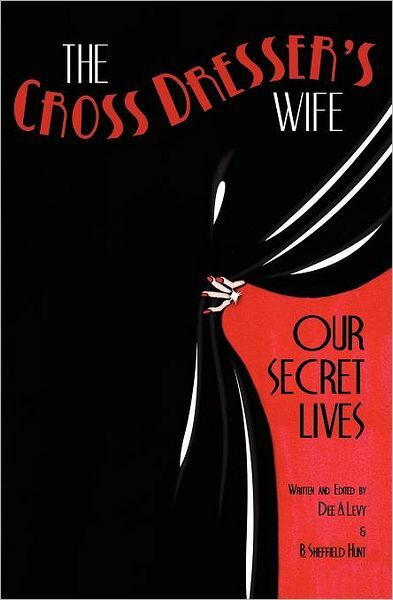 At long last, valuable and emotionally intimate social commentary on the taboo subculture of cross dressing is revealed in the pages of THE CROSS DRESSER’S WIFE * OUR SECRET LIVES. Culled from the nonprofit website www.crossdresserswives.comby authors Dee A. Levy (the website’s founder) and B. Sheffield Hunt, this international collection of stories exposes, for the first time, the shocking secret lives of cross dressers’ wives or partners who silently grapple with the issue of transvestism in their marriage or relationship. This is the duo’s first literary collaboration. 5. Mr. Wonderful – Levy’s own story – ponders the ramifications of a woman’s choice to stay in the marriage. You can visit the authors’ website at www.crossdresserswives.com. Chuck Waldron, author of the action adventure novel, Served Cold, is stopping off at The Book Faery Reviews on Day 6 of his virtual book tour with Pump Up Your Book! Watch a video interview with Chuck and Farrah at The Book Faery Reviews at http://tbfreviews.net/2011/12/12/video-author-interview-with-chuck-waldron-author-of-served-cold/! 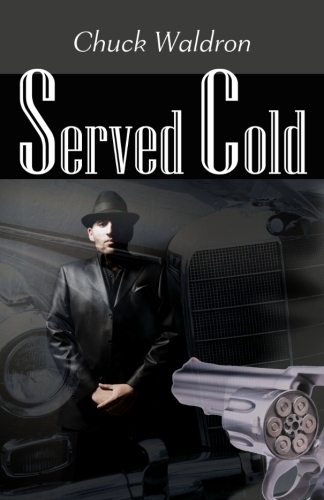 For two families, revenge served cold is not on the menu. Fuelled by a long-standing feud between the clan patriarchs, nothing less than hot-blooded vengeance will do… Called to the bedside of his dying father in Atlanta, a young man never expects what is waiting for him. In a hospital room the man who raised him, isn’t his father. Instead, he learns about his true parents and a feud that went horribly wrong. For years an uneasy balance of power between two powerful businessmen remained intact. But when one discovers his daughter is pregnant and the father is the son of his hated enemy, a deadly game tips the balance. In a violent power play, he orders her lover killed, sending a clear signal to his nemesis. In hot-blooded retaliation, his adversary arranges punishment, a hit on the other family, drawing a special target on the head of the most prized possession: the young daughter. A trusted bodyguard and driver – with a few shady connections of his own – escape with the mother-to-be to the presumed safety and anonymity to await a birth, a new beginning. But no place on Earth is safe from all-out revenge. As assassins close in, Rocky narrowly escapes with newborn baby Sean and goes into hiding, creating a new identity. Disappearing into another world, he is able to raise Sean in peace for many years. Hearing this incredible story, a young man is drawn to the truth about his family roots and a growing need for some act of revenge, to seek atonement for the parents he never knew. What he discovers when he gets there will force him to make a choice: to succumb to a path set before him by the fate of his heritage, or turn away and forego the desire for vengeance pulsing in his veins? You can visit Chuck at http://www.writebyme.ca and at www.chuckwaldron.com. Visit him at Twitter at http://www.twitter.com/writebyme and Facebook at http://www.facebook.com/wordstir.